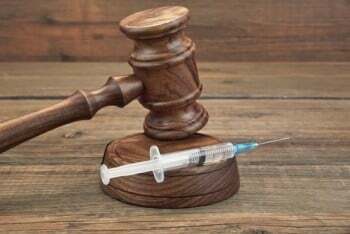 U.S. Supreme Court Justice Neil M. Gorsuch wrote the majority opinion Monday when a divided Supreme Court rejected a Missouri inmate’s claim that his rare medical condition would make execution by lethal injection a constitutional violation. The court ruled 5-4 against Russell Bucklew, who said his cavernous hemangioma would make death by lethal injection particularly painful. The condition causes blood-filled tumors that are likely to erupt during execution, making lethal injection cruel and unusual, Bucklew had argued. “The Eighth Amendment does not guarantee a prisoner a painless death—something that, of course, isn’t guaranteed to many people, including most victims of capital crimes.” Gorsuch wrote. Gorsuch’s opinion was joined by Chief Justice John G. Roberts Jr. and Justices Clarence Thomas, Samuel A. Alito Jr. and Brett M. Kavanaugh. Gorsuch said Bucklew had resisted naming an alternate, readily available procedure, as required by Supreme Court precedent. Only when threatened with dismissal of his challenge did Bucklew finally point to nitrogen hypoxia as a better way to die. Gorsuch said Bucklew had made only a “bare-bones proposal” that failed to answer essential questions that included how and in what concentration the gas would be administered and how the state could ensure the safety of the execution team. “The Eighth Amendment prohibits states from dredging up archaic cruel punishments or perhaps inventing new ones, but it does not compel a state to adopt ‘untried and untested’ (and thus unusual in the constitutional sense) methods of execution,” Gorsuch said. Even if nitrogen hypoxia was a viable alternative, Bucklew had not demonstrated that it would be less painful, Gorsuch said. Bucklew was convicted in 1996 for killing a man who was sheltering Bucklew’s former girlfriend. Bucklew also raped the girlfriend and broke her jaw, and he exchanged gunfire with police when they caught up with him. After his arrest, he escaped from jail and attacked the girlfriend’s mother with a hammer. Gorsuch’s opinion emphasized the execution delay. Bucklew’s direct and habeas appeals were exhausted by 2006. His case then “became caught up in a wave of litigation over lethal injection procedures,” Gorsuch wrote. Bucklew himself joined in a lawsuit that challenged Missouri’s lethal injection protocol. Then in 2014, 12 days before his scheduled execution, Bucklew filed his current challenge. “That suit has now carried on for five years,” Gorsuch said. The proper role of the courts, Gorsuch said, it to ensure that challenges to execution methods are resolved fairly and expeditiously. “Courts should police carefully against attempts to use such challenges as tools to interpose unjustified delay. Last-minute stays should be the extreme exception, not the norm,” he wrote. Justice Stephen G. Breyer dissented in an opinion mostly joined by Justices Ruth Bader Ginsburg, Elena Kagan and Sonia Sotomayor. Breyer said Bucklew deserved a chance to prove his claim at trial, and the need to provide an alternative method of death doesn’t apply in his case. 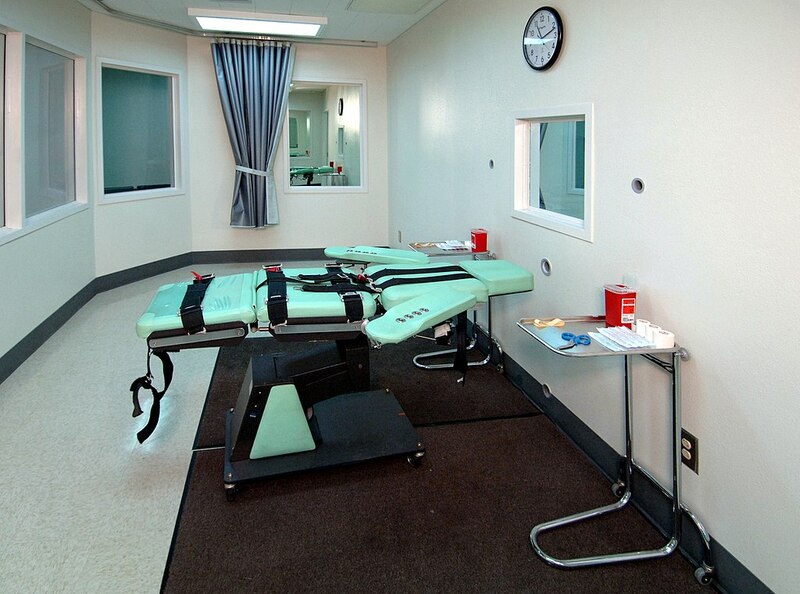 The alternative method requirement imposed in prior precedent was based on the need to avoid intruding on state legislatures as they implement execution procedures. But Missouri lawmakers did not consider that it would “cause prisoners to choke on their own blood for up to several minutes before they die,” Breyer wrote. In a separate part of his opinion not joined by the other dissenting justices, Breyer agreed that delays are excessive. But the proper response is not to curtail constitutional guarantees. As the nation places more importance on procedural fairness, it may be that there “there simply is no constitutional way to implement the death penalty,” Breyer said. Breyer previously has questioned the constitutionality of the death penalty. In a separate dissent, Sotomayor focused on “troubling dicta” in Gorsuch’s opinion regarding delays in carrying out capital punishment. The case is Bucklew v. Precythe. Hat tip to SCOTUSblog, which live-blogged the opinions as they were released.